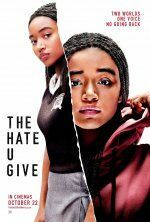 The Hate U Give, or short for THUG, features Amanda Stenberg, a 20-year-old actress from Los Angeles. Amanda Stenberg plays as the character, “Starr Carter,” a black teen. She lives in Garden Heights but attends a white private school, Williamson Prep. When she goes to a party in Garden Heights, there is a shootout and her friend Khalil (Algee Smith) takes her home. On their way home, they are stopped by a white police officer. When her friend, Khalil, doesn’t do what the officer says he is forced to get out of the car. While outside, the officer takes his ID and goes back to his patrol car to check it. When the officer is not looking he goes and checks on his friend Starr. He later grabs a hairbrush and holds it on his head. Then, all of a sudden, the officer shoots him in the chest three times. Starr gets out of the car and starts sobbing next to him. The shocked officer asks where the gun is, and later finds out there was no gun. Starr is scarred with the death of her friend. She later has the courage to go and participate in a peaceful protest, that later turns into a riot. This movie made me aware that life isn’t fair and equal for all of us. In the beginning, it was nice because it was just fun and games. Then it shocked me what the father was teaching them at nine years old, it was their rights. He tested them on what their rights were and what to do. Then later the movie made me sad because her friend died and nobody helped them because they were black. Since her friend was black and the officer was white, they helped the officer instead of Khalil. 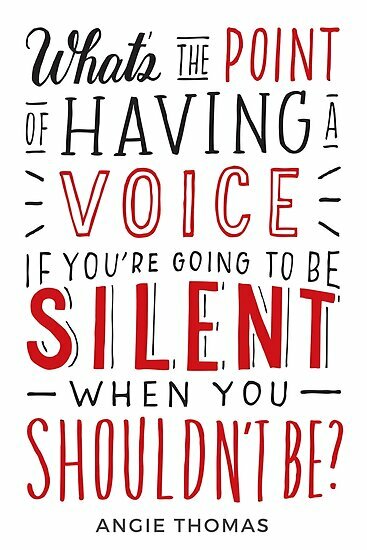 Then there was the part of the protest, where she used her weapon – her voice – which started the right. This ultimately affected my stance on the movie as it made me happy because she stood up for her community. I would recommend this movie to anyone who loves watching movies that show how life really is. It was a nice movie that changes my perspective on how people really are. I’ll have to give it a 9/10. It’s a good movie to watch with the family, so they can know that life isn’t perfect and it’s hard in the outside world. Stay tuned to The Roundup for more movie reviews!